"Home is where we come from and home is where we go for safety, warmth and comfort. In this mixed-up, jumbled-up world, home is still where the heart is." Ever since she can remember Mary Beth has loved making art and believes that some of the most heartfelt gifts are handmade. A St. Louis native, Mary Beth graduated from the University of Missouri (Mizzou) with a degree in Interior Design. After a career in contract design she decided to stay home to raise children. It was during this time in 1995 that the House Portrait business, Designs by Mary Beth, came into being. After many years of both practical and professional experience Mary Beth has become highly skilled in her field. Working from photos, each portrait is beautifully detailed completely by hand in either watercolor or pen and ink. 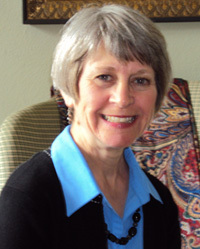 Mary Beth’s work has been featured in or sold through a variety of local and national publications and catalogs. She has produced over a thousand portraits of homes from across the U.S.
Hi Mary Beth, it's 11 PM. Friday and we just got home from a long day of chores, and lo and behold our house portrait was waiting for us on our front porch...and it's Great!! Nora and I are thrilled with it and we can't wait to take it to the framing shop in Ashland (abt. 30 mi. south of us) and have it matted and framed. You did a super job and are to be congratulated! Thanks so much, Mary Beth. I'll call you tomorrow, it's too late right now. We can't wait to show it to all our neighbors! !